Shenzhen, China, 13 March 2018 – Vivo announced its cutting-edge, AI-powered Super HDR at a media event in China. Following the previous breakthrough success in backlit photography, Vivo is taking mobile photography to new heights with Super HDR’s auto scene detection to produce clearer photos, better colors, more details and better tones. Super HDR’s dynamic range can reach up to 14 EV (Exposure Value). 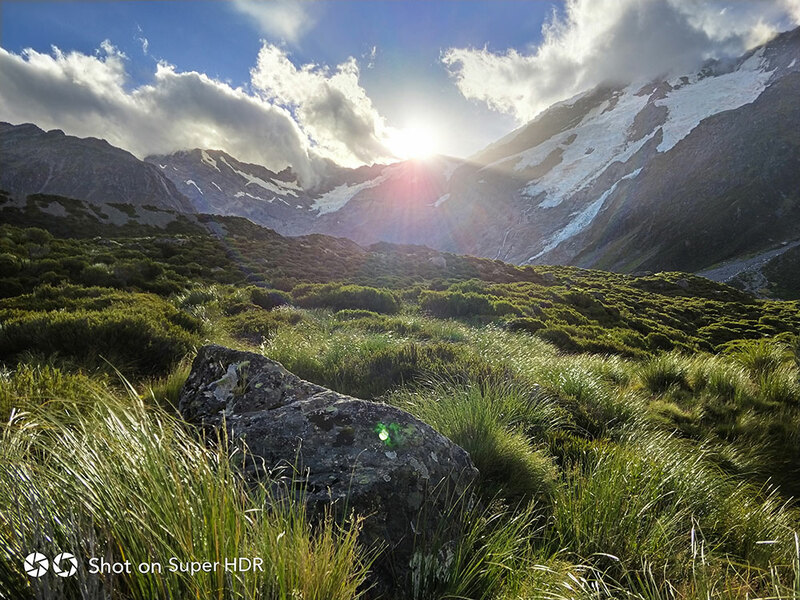 With just a single press of the shutter, Super HDR will capture up to 12 frames, significantly more frames than previously possible with existing HDR technology. This provides more image options for merging to perfectly light all the parts of the eventual photo. To reduce the unnaturally processed look of regular HDR, Super HDR adapts to different scenes and their dynamic range characteristics, selecting and merging frames to best render the image’s highlights and shadow details. Super HDR then optimizes shadows to ensure the complex photo’s highlights and shadows are balanced and natural. The Super HDR leverages complex AI algorithms to adapt to different scenarios. The moment the shutter is pressed, the AI will detect the scene to determine the ideal exposure strategy and accordingly select the frames for merging. This process ultimately delivers a natural looking shot which looks like it was captured by the human eye. Highly adaptable: With a wider dynamic range of 14EV, Super HDR can ensure perfect shots in a broader range of lighting scenarios, even in adverse ones. This results in image that shows the details of the rock, grass, mountains and clouds despite the back lit, high contrast scenario. 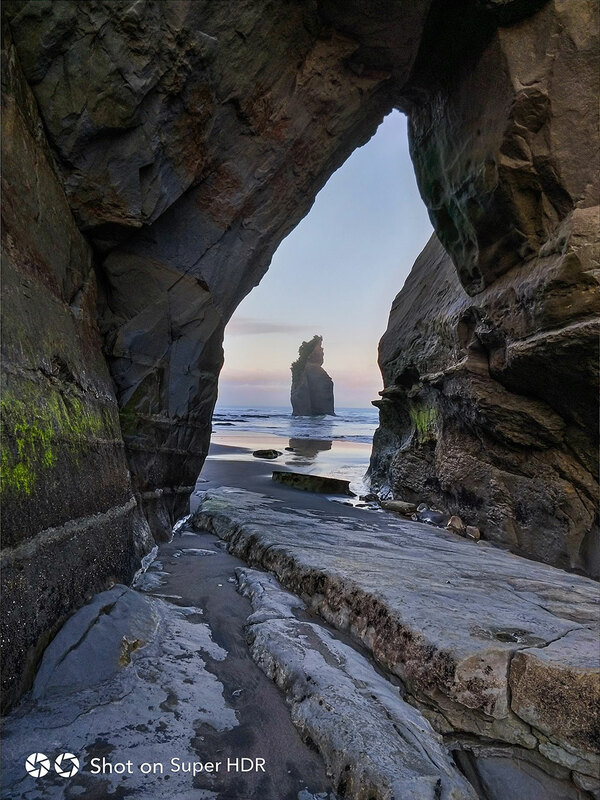 Accurate and smart exposure selection: At up to 12 frames, Super HDR has more lighting options for its smart frame selecting strategies to correctly expose all parts of the photo. This retains the natural contrast that is key to accent the features of this photo. Intelligent identification: AI-powered scene detection means that each part of the photo can be identified and isolated for processing to insure even complex photos are perfected. The AI can perfectly identify and expose the unique shapes of these rocks, moss, waves and clouds in this shot. Natural looking results: Super HDR produces more natural tones by reorganizing and optimizing the highlights and shadow portions of the scene when merging the frames and ensures the photo naturally matches the original scene as seen by human eye. This shows the couple clearly and naturally despite sun and umbrella creating such complex lighting. 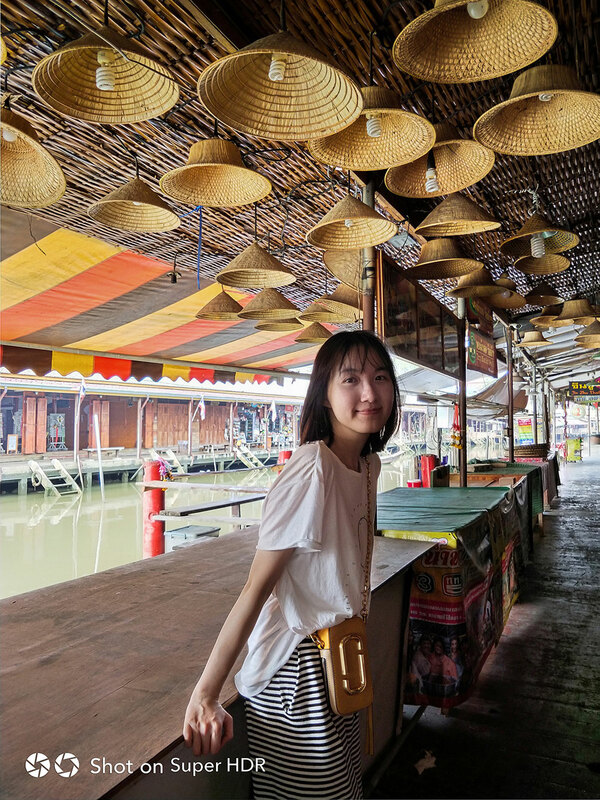 Perfectly lit portraits: Super HDR prioritizes the best lighting for the person in the photo and adjusts the background exposure to produce an optimal and natural portrait. 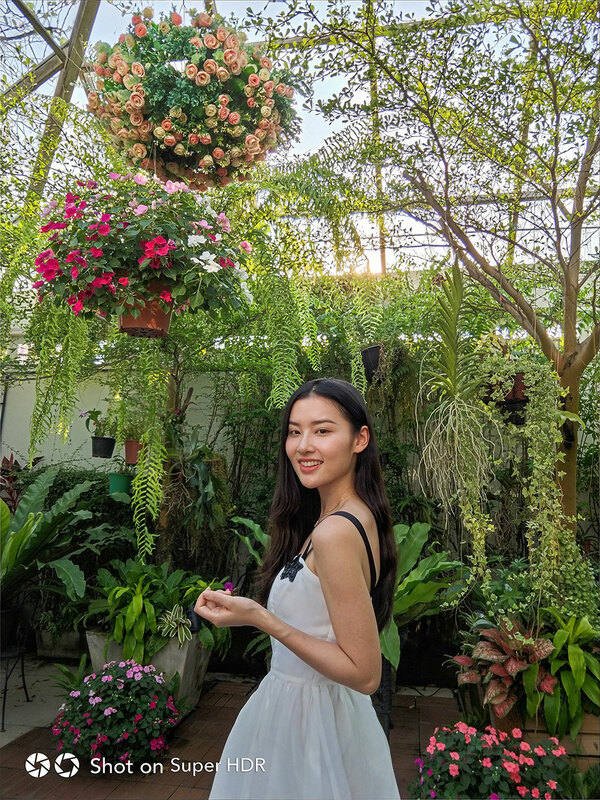 Optimizing the lighting for the girl and creating complimentary lighting of the sky and flowers help accentuate her in the photo for a perfectly lit portrait.